Users are understood as any person who browses, accesses or uses any of the pages, services, utilities or activities in general included in the escapemalaga.com portal. The mere use of the portal escapemalaga.com or access to it by any user implies acceptance of the general conditions indicated below, so the user must carefully read the content of these general conditions. Through escapemalaga.com it will be possible to access certain services, web pages and, in general, activities managed by third parties not related to Escape Málaga, for which the applicable general conditions will be those indicated by said third parties. Escape Málaga has the intellectual and industrial exploitation rights licenses for all content available within the escapemalaga.com portal. The access by the users to the content of escapemalaga.com does not imply, of course, transmission, resignation and, in general, any modification of the exploitation licenses. 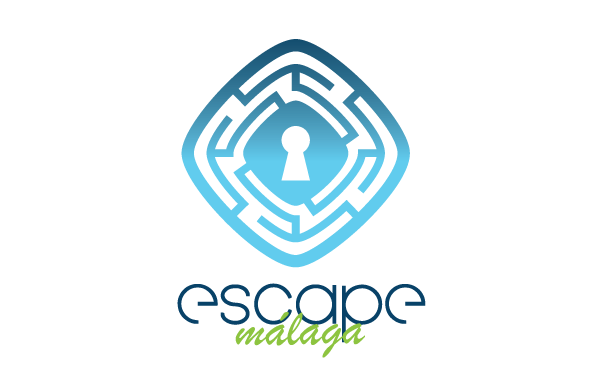 Also, the content of escapemalaga.com is offered only and exclusively to end users, so any commercial use of the content of the portal without written authorization of Escape Málaga or the holder of the corresponding rights is prohibited. In general, access to the contents of escapemalaga.com is free and free, although in part of the services and content you can demand the registration of the user or be subject to the acceptance of particular conditions that will be clearly indicated. In general, any personal data that can be requested at escapemalaga.com will be treated as provided in the current legislation on personal data. In escapemalaga.com there may be links to other portals and websites through buttons, banners, links and other means, which are not managed by Escape Málaga, for which Escape Málaga does not assume any responsibility for the content of said portals or websites of third parties. Do not use identification elements of escapemalaga.com or Escape Málaga in the link, unless written authorization of Escape Málaga. The link must be directed solely and exclusively to the main page or Home of escapemalaga.com, unless expressly authorized in writing. Links to other pages of escapemalaga.com are not allowed. Especially, it is prohibited to present a page or part of it in the framework of another web page using the technique known as “framing”. The link must be complete, without modifications and must completely cover the content of the main page of escapemalaga.com. Links to escapemalaga.com are not authorized from pages that, in general, contain elements against morality, public order and generally accepted social norms. The continuity of the contents of escapemalaga.com. The absence of viruses and / or other harmful components in escapemalaga.com or in the server that supplies it. The invulnerability of escapemalaga.com and / or the impregnability of the security measures adopted in it. The consequences generated by the breach of the security systems of escapemalaga.com. The damages or losses generated to any person when infringing the conditions, norms and instructions that Escape Málaga establishes in escapemalaga.com. Despite the foregoing, Escape Málaga has proceeded to take appropriate measures to minimize the risk of viruses and other harmful elements for users. Escape Málaga may modify these general conditions at any time, in whole or in part, publishing the modifications directly or communicating them to users through any type of communication. Therefore, the general conditions will be valid only and exclusively during its exposure period. If there are discrepancies between the particular conditions of a specific service or content and the general conditions, those corresponding to the specific service or content will prevail. If any provision was considered, totally or partially, null or unenforceable by the corresponding judicial or administrative body, the rest of the provisions of the general conditions would remain in force. The non-exercise or execution of any right or provision of these general conditions by Escape Málaga does not imply a waiver thereof, except by agreement in writing between the parties. The parties, Escape Málaga and the users, expressly waive any other jurisdiction that may correspond to them and submit themselves to the Courts and Tribunals of Málaga.